Well, it was Araw ng Davao week and my city was bustling with happenings and events here and there. 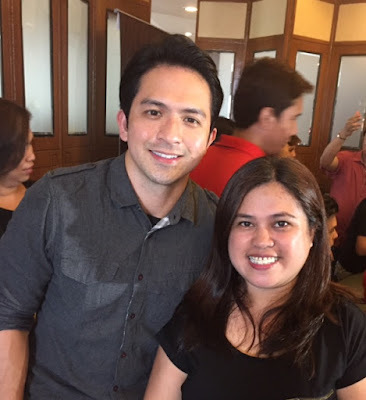 I was able to join the two-day consecutive meet and greet events sponsored by no less than GMA Kapuso TV station. I didn't have a clue what to expect but was sorta hoping to meet celebrities since it was scheduled on Davao City's 80th inaugural anniversary. Ok so, Day 1-- the activity was held in a local restaurant, and boy was I surprised to see several GMA Kapuso stars upclose in one room! (I was like, omg! I wasn't informed, should've dressed up a little and put on make up a little, charot!) 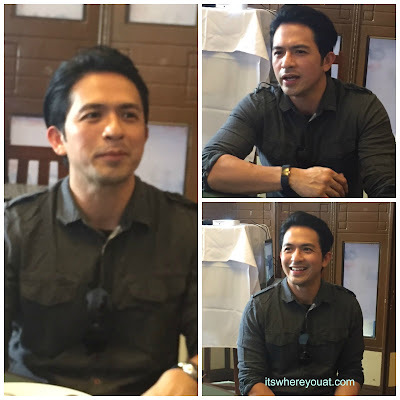 Get this: Dennis Trillo (yep!) 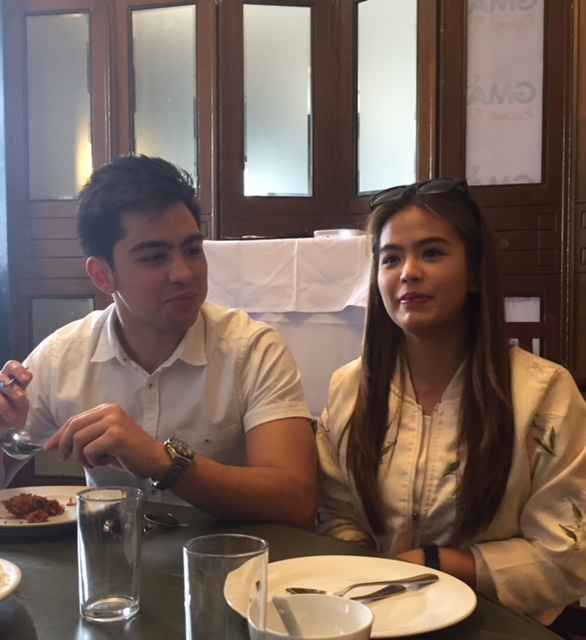 Kiko Estrada, Dion Ignacio, Miguel TanFelix, Bianca Umali, Derrick Monasterio and Bea Binene. They're here in town to promote the upcoming TV series, Mulawin vs Ravena, a sequel to the well-loved fantaserye Mulawin. We were given a chance to have a brief chitchat with them. I was starstruck really but had to hide my excitement so I can concentrate on our little interview together with my other blogger friends from Davao Digital Influencers. There was so much food on the table but I didn't feel like eating. So this must be the feeling when you're surrounded by artistas, huh? Frankly, I haven't had the chance of really following some of them, but hey, it was a fun experience that I won't forget. And yes, I took a lot of photos, too. I had a little kilig fangirl moment having a photo with Dennis Trillo and Kiko Estrada. Later that day, they're scheduled to have mall tour to give entertainment to their local fans in celebration of the Araw ng Davao. Day 2 - The next day, we were scheduled to meet Glaiza De Castro, Ruru Madrid and Sanya Lopez. They're all from another GMA blockbuster fantasy TV series, Encantadia. During our interview, it was refreshing to realize that these stars can have same thoughts as I have, talking about life and other trivial things. Aside from their good looks and charm, they're also funny and sensible. Total package, indeed. I also appreciate that they're all very game when we asked them for countless selfies/photos, fan signs and shout outs.